Kitchen and bath remodeling improve function and add value to your home in Santa Ana. When a kitchen or bathroom have served their time, becoming worn and dated, kitchen & bath remodeling can refresh and make your home more functional. This will also add overall value to your home. You can choose a full remodel that takes your room back to the studs and replaces everything from floor to ceiling. With open floor plans in the living area being so popular, a full remodel can open up the kitchen to the living areas. The other option is a partial remodeling by replacing and updating some key components can refresh and increase function. Sharon and Son's Flooring & Cabinets carries a range of options in every price point for your kitchen remodel. Working with your designer and your budget, you can determine what is available to you. Just because you may not be able to swing a full remodel all at once, doesn't mean your designer can't provide you with a stepped plan of work to do the work in discrete phases as your budget allows. Don't worry, in a phase remodeling, as each is accomplished, it won't be like living in a construction site. As with a kitchen, when you're planning the bathroom remodeling with your designer, you can do a complete renovation or spread it out in stages. For instance, you could start with replacing a tub and shower with a spacious tiled shower with multiple shower heads and a sleek glass enclosure. We will help you stay within the budget you set for this project. 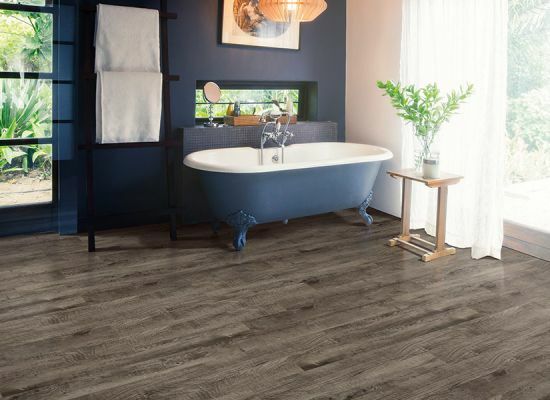 If you're from Santa Ana, Costa Mesa, Huntington Beach or Fountain Valley, and you have remodeling on your mind; the place to start is Sharon and Son's Flooring & Cabinets. One of our professional designers will guide you through the planning phase zeroing in on your needs, your budget and the best solutions available. Then the designer oversees the different phases of your remodel. If you're in the area, you can visit the showroom for an initial consult. Or you can have the designer meet with you at home. 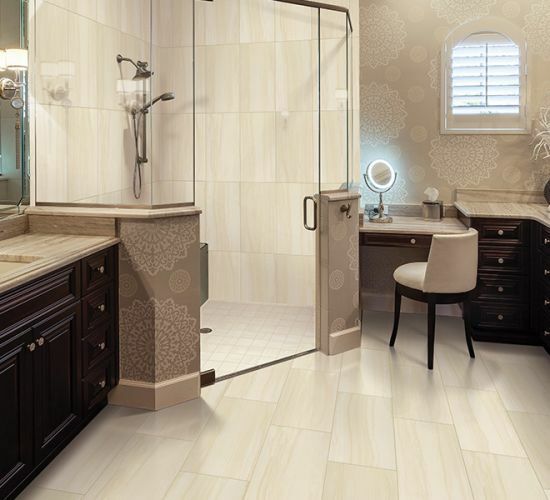 Our goal is for you to have the best kitchen or bath remodeling experience with the result exceeding your expectations.